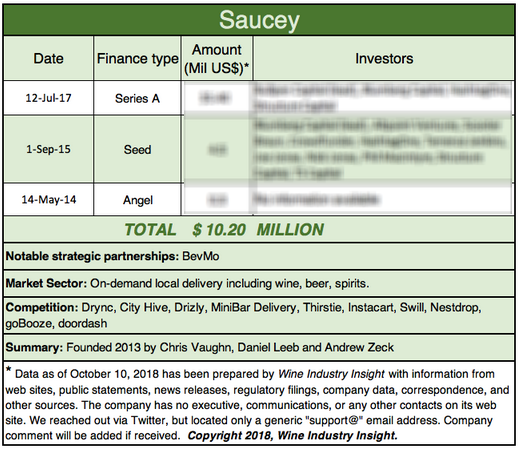 On-demand delivery service Saucey ranks #13 in Wine Industry Insight’s wine venture funding survey with $10.2 million in investments. That compares with competitor Drizly’s $53 million which is ranked #5 in overall venture funding and #1 in the on-demand market. Data in this segment is fragmented, and this ranking could change as more data is gathered. 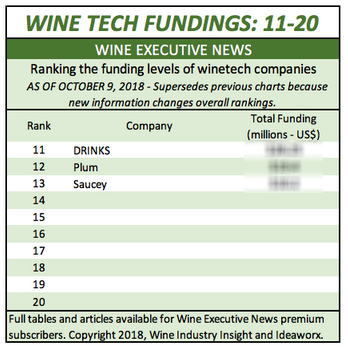 WX Brands – Winetech funding #10: Edges out DRINKS.